Bollywood fusion band for hire. Shama, Chirag Rao & The 515 Crew are a dynamic 8 piece band who deliver the highest quality of Bollywood music in power packed performances, bringing together influences from the Bhangra, Bollywood, Urban and World Fusion music circuits. "...The 515 Crew's music combines both traditional Indian melodies with modern production and are great for the dance floor as well as just to listen to..."
"...Shama and The 515 Crew deliver more than just a show – the clarity of vocals and passion in their performance left both us and the audience wanting more..."
With a highly professional approach, a flexibility to deal with any audience and an equally impressive repertoire of songs, this band will definitely leave your guests wanting for more! No limits. No boundaries. Just Music. Shama, born in Libya, is very much attached to her Indian roots. A versatile and capable singer who has been performing since childhood to audiences around the world. Having received her vocal training from Smt. Swati Natekar and Smt. Krishna Chakraborty, Shama went onto developing her own voice and style. 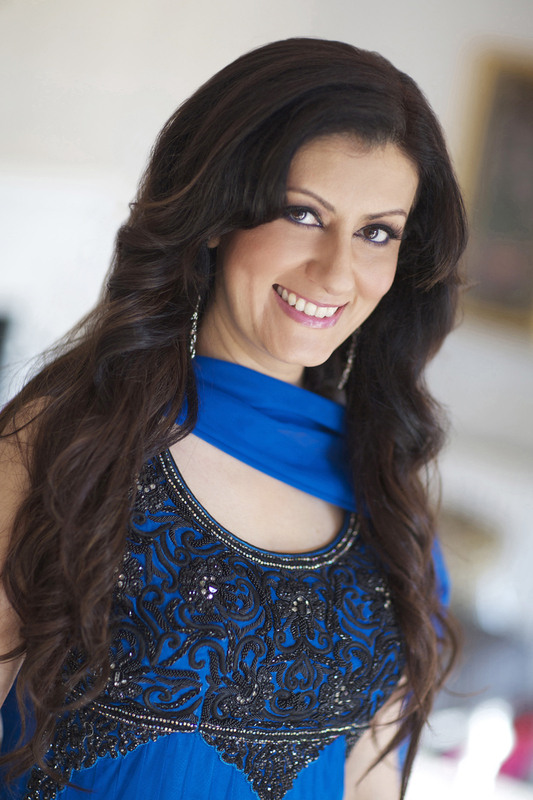 Shama is the only Asian female artiste in UK to have had not one but 2 successful long-running bands. Shama became a brand name in 1994 as she set out with the very popular Shama and Friends band, wowing audiences in South America, Caribbean, West Africa, Dubai, Europe and nationally over UK for the next 15 years. Her second band, The 515 Crew, has been performing & producing music since 2009. In 2010, Shama made her debut as a lyric writer, penning the words to Maahi, the very first track released by 515 Productions quickly followed by Diljaani, Baarish and Jogan. Shama’s last single, Jogan (released July 2014) went straight into the iTunes World Music Top Ten on the first day. Shama performed at the prestigious Diwali on Trafalgar Square for 4 years running due to public demand and the Greater London Authority’s request. Shama’s songs from her first album, Forever Yours (released in 1995) have been featured in the recent Liam Neeson film, Taken 3, National Geographic documentaries, Gomez et Tavarez (French Film), Coronation Street. Shama sang on Geri Halliwell’s (Ginger Spice) debut album, Schizophonic. Shama has performed with Bollywood music personalities such as Anup Jalota, Sukhwinder Singh, Nitin Mukesh, Mangal Singh. A British Indian singer songwriter and composer who, with his velvet tone and well-developed range, has enthralled audiences with his outstanding performances and immensely varied repertoire. Coming from a long line of classically trained musicians, Chirag was always surrounded by all genres of music which formed the basis of his versatility. His initial training was under his Grandfather Shri Jaganath Brahmbhatt, who was an accomplished classical musician himself and was able to nurture his keen interest in music. Having spent 2 years in Mumbai Chirag has already mixed with playback royalty under the guidance of world renowned Ustaad Ghulam Mustafa Khan, who has taught the likes of Sonu Nigam, Asha Bhonsle, Shaan, Hariharan and a host of other playback artistes. Having released his debut singles in 2011, he is definitely a singer to watch out for as he makes a niche for himself in the UK Hindi market. 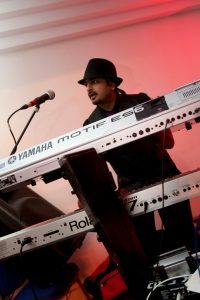 Hinal Pattani is first and foremost a pianist and lead keyboardist and has been performing on stage since the age of 15, and been producing material for world music acts since 2000. Hinal has acted as MD for several acts in the British Asian Music Circuit such as The 515 Crew, Shama Artiste, Chirag Rao, Sonia Panesar, Taz Stereo Nation, Shin DCS, Navin Kundra, Alaap, Najma Akhtar, Mangal Singh and Silinder Pardesi to name a few. 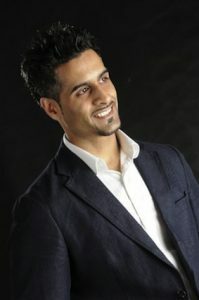 In June of 2012 he debuted as Musical Director with The Royal Shakespeare Company on Iqbal Khan’s production of ‘Much Ado About Nothing’ featuring Meera Syal and Kulvinder Ghir of ‘Goodness Gracious Me’, where he directed music produced by Niraj Chag over a theatre run that lasted 4 months, performing in Stratford at The RSC and The Noel Coward in Leicester Square, London. His session works also have an impressive clientelle with names such as Arijit Singh at SSE Wembley Arena in June 2015, Kumar Sanu, Himesh Reshamiya, Gurdas Maan, Asha Bhosle, Nitin Mukesh, Anup Jalota to name a few. Bindi Bhumbra has been a fully-fledged member of The 515 Crew for the past 3 years. Born in Glasgow, Bindi started his musical career in the 80’s as founder member of the Scottish Bhangra band, Bombay Talkie. 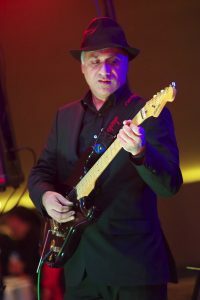 During this time he co-composed much of the band’s music, and wrote the hit Chargiye, which was the opening track of the band’s no 1 album Judgement Day. In the 90’s, Bindi moved to London and became part of the London music scene, performing major stints as guitarist for Holle Holle, and then more recently, Alaap. 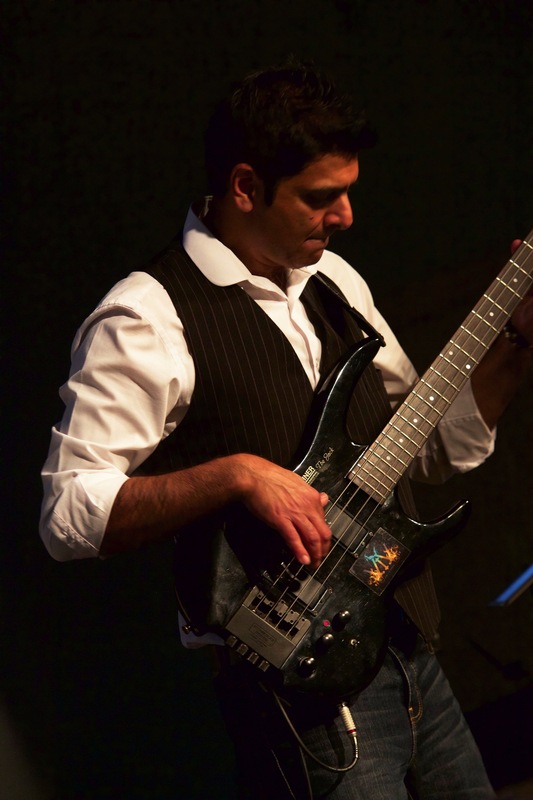 Ragen was born in Kenya into a musical family and influenced from the start by his father J K Brahmbhatt, who was a self taught classical singer and one of a handful of ‘Dilruba’ players in Kenya at the time and then the UK. Guided by his father, Ragen’s first instrument was tabla when he started training with Pandit Manikrao Popatkar for a short time. Guitar and bass lessons soon followed when an opportunity arose to join a local band, playing R and B, soul and blues. 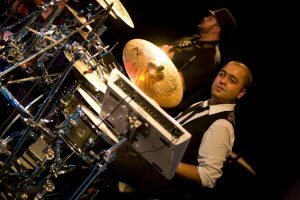 Ragen joined his older brother band and performed in the UK bollywood music circuit. During the Bhangra explosion mid 80’s, Ragen started playing with the hugely popular bhangra band, Holle Holle as part of the original set up as well as freelancing with other bhangra bands on the scene at the time including Premi and Shava Shava, whilst still maintaining his connection with the Bollywood circuit. In the 90’s Ragen left the bhangra scene to join a new bollywood band, Sound Machine. Having freelanced with several bands, Ragen has now been with The 515 Crew since it first started in 2009. 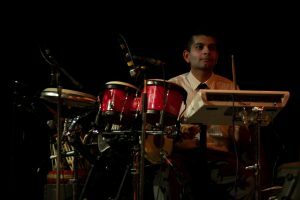 Dhaivat is a versatile percussionist born and bought up in the UK who has performed with leading bollywood, bhangra and folk artists. 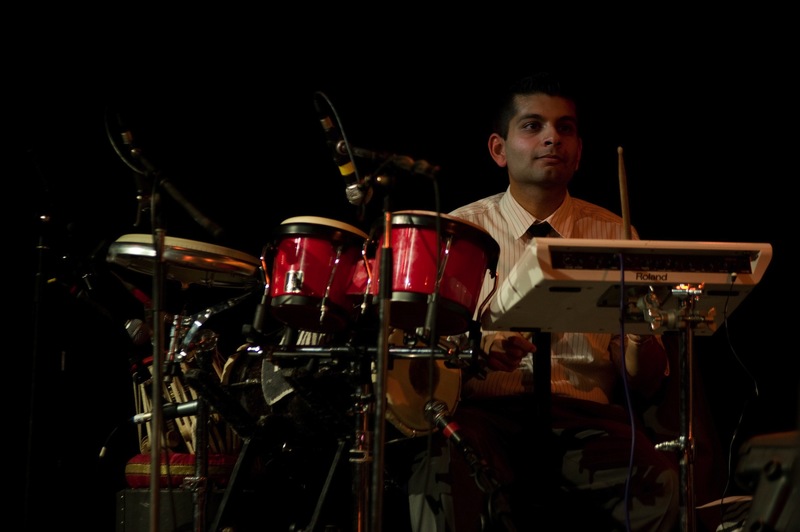 He has learnt classical tabla and indian percussion under the guidance of his father and tabla teachers both here in the UK and in India, where Dhaivat spent 6 months learning from the great Pt Bhavani Shankar. 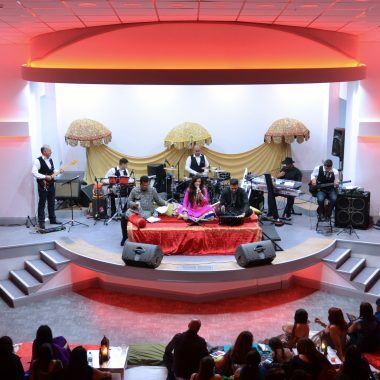 Last year Dhaivat performed in the West End musical Bend it Like Beckham and has also contributed to various music albums produced in the UK and Mumbai as well as featuring in music videos released by top UK artists. Sailesh is a recognised drummer within the British Asian Music Industry. With experience in performing at major concerts, melas, private and corporate functions worldwide with many artists within the scene. Sailesh has performed with well known artistes Ila Arun, Jaspinder Narula, Hans Raj Hans, Shin, Channi & Mona Singh, Stereo Nation, Shin DCS to name a few. …On the day the best thing we did was relax and leave the music in the hands of the pros – this what they do. They controlled the tempo, the songs and had the guests captivated from the get go. Apart from playing the expected Bollywood and Punjabi tunes that got everyone swaying and dancing and they even squeezed a Bob Marley tune or two. “I just wanted to say a massive thank you to you, Chirag and the whole band! I was enjoying the sound check as I got ready and it was amazing! I know a lot of the guests really loved it too. I can’t thank you enough for making sure everything was perfect for the entrances … I’ll hopefully be able to see you on stage again soon and thank you in person as well. It turned out that Taj E who is a personal friend recognised your guitarist as well and was so excited that i had an amazing band at the wedding. 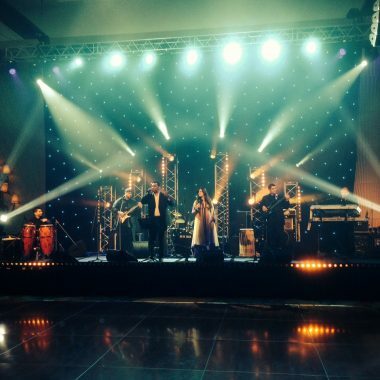 “Shama and her band were exceptional in making my husband’s 50th birthday party an evening to remember. I admire them for their punctuality and professionalism. The music was excellent Bollywood and Hollywood. All my family and friends thoroughly enjoyed it, they still talk about the evening. It was a wonderful feeling to see everybody dancing and singing with the team. I would have no hesitation in recommending to anyone and to hire them for any other future events. Well done to all the singers and thank you so much for a remarkable performance”. “Shama and The 515 Crew deliver more than just a show – the clarity of vocals and passion in their performance left both us and the audience wanting more. The stand out highlight of Bollywood Fever 2015 was having Shama and The 515 Crew ‘wow’ those present, set against the perfect backdrop of Bargehouse, Oxo Tower Wharf in the heartland of London’s cultural district South Bank. Polite professionalism, whilst being able to perform to an expectant audience is a rare commodity in the entertainment industry, however Shama and The 515 Crew achieve this in abundance. 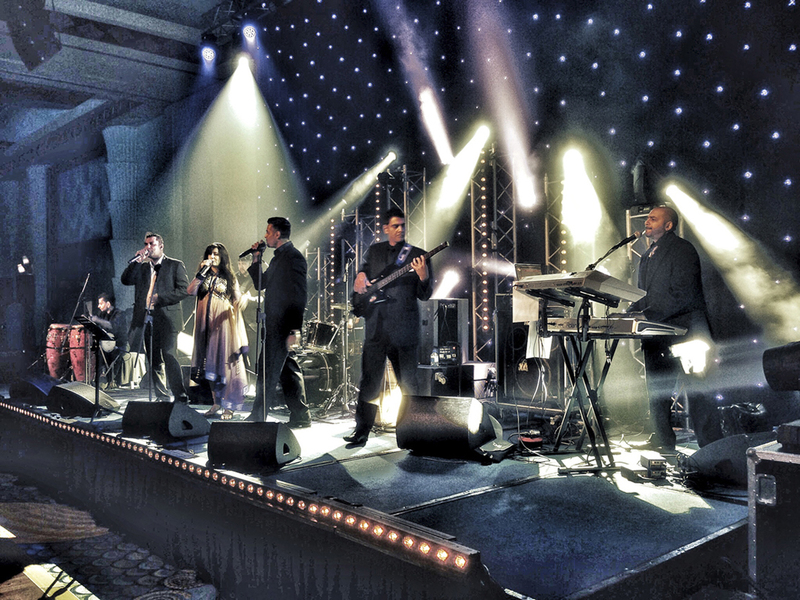 “Shama and her band, The 515 Crew were exceptional in making my wedding reception a night many of us will never forget. Being passionate about live music, I was adamant that the evening’s entertainment had to centre around a band and I was not left disappointed. The music was exceptional, diverse and energising which had everybody on their feet. Shama, Chirag and Nimesh were versatile singers who played to the crowd changing the tempo when required. Whether it was a Bollywood classic, a dance track or a Michael Jackson classic, they had everything in abundance.